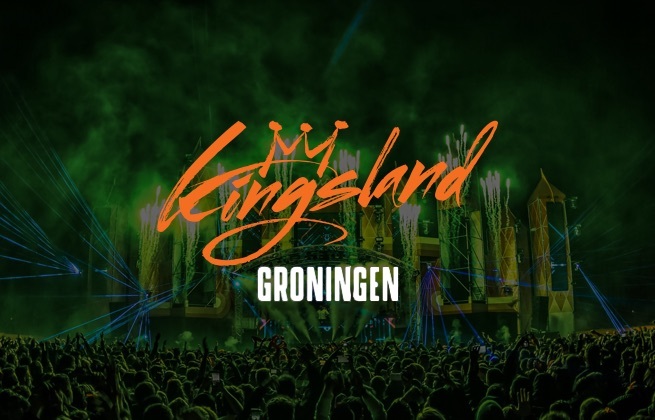 This ticket allows you access to Kingsland Festival Groningen 2019 on April 27th from 14:00 - 00:00. NH Groningen is located 5-minute walk from the Grote Markt and the Martini Tower. Shopping streets, cosy cafés and restaurants are all nearby. This modern hotel is also a 9-minute walk from the Gothic Martinitoren church and its Baroque organ. At walking distance from the city centre, the NH Groningen Hotel features 127 comfortable rooms with free Wi-Fi. The hotel's Restaurant De Hanzebeker offer a special international menu. Enjoy Italian pastas or try an authentic Dutch soup. An extensive breakfast is served in the morning and the bar is the perfect place to relax with refreshing juices, wines and more. Other amenities include bike rental, and 10th-floor meeting rooms with city views. Kingsland Festival Groningen is the northern outpost of the Kingsland electronic music festival series. April 27th is King's Day in the Netherlands, one of the biggest bank holidays of the year, celebrating the birthday of King Willem-Alexander. To mark its fifth anniversary in 2017, Kingsland Festival grew to five simultaneous parties, bringing some of the world's biggest DJs to five cities across the country. With 150,000 people attending and over 150 DJs playing across all locations, Kingsland Festival is the most outrageous, all out King's Day party around. South-west of the city centre, Stadspark Draftbaan is a great open space that is home to one of the country's best horse racing tracks.